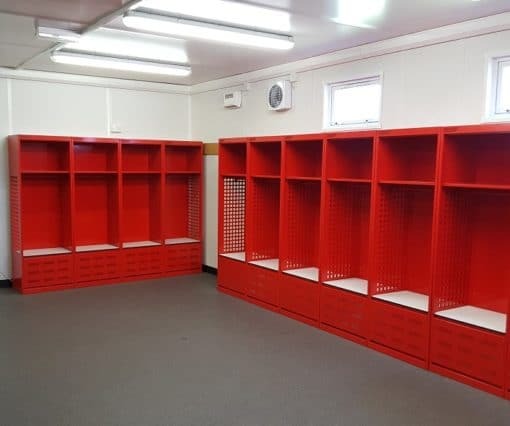 Open fronted kit hanging Sports lockers suited for easy access to kits and uniforms or equipment, complete with optional top shelf with Personal effects locking or non locking storage box. Stadium & Turnout gear lockers are a Open fronted kit hanging Sports locker. 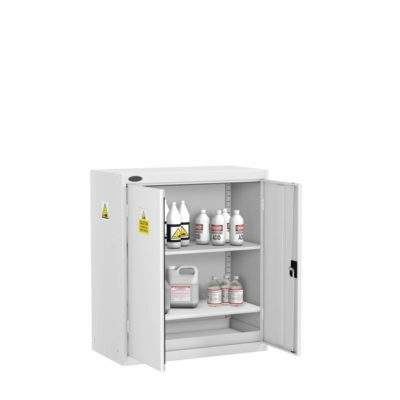 Suited for easy access to kits and uniforms or equipment. 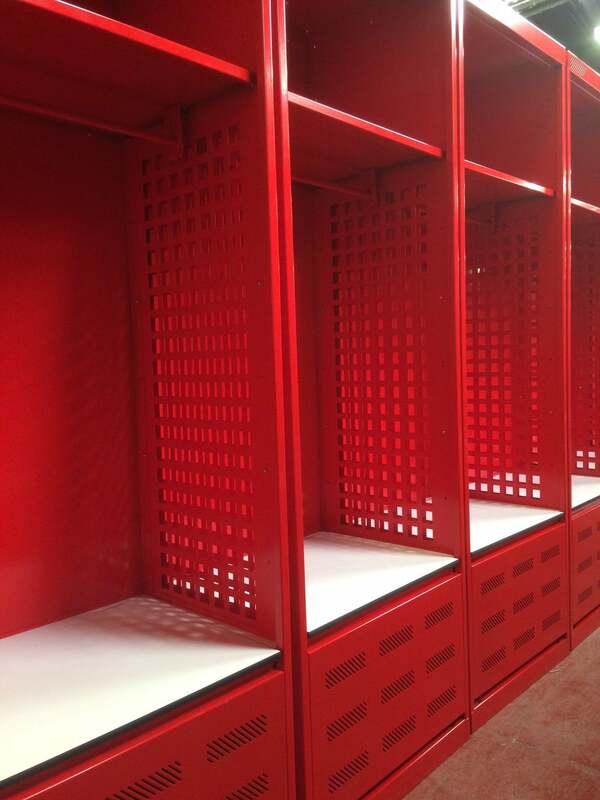 A garment hanging rail is directly positioned underneath the top shelf. 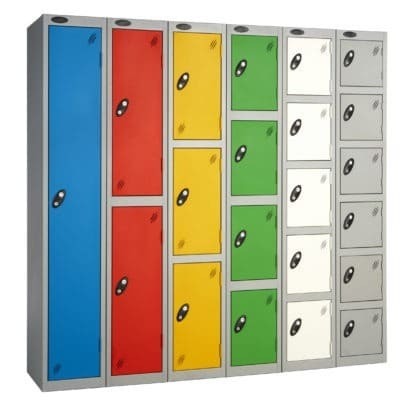 This locker also has a lift up laminate seat which can be lockable allowing storage for football boots,trainers,equipment etc with perforated air holes allowing air circulation. 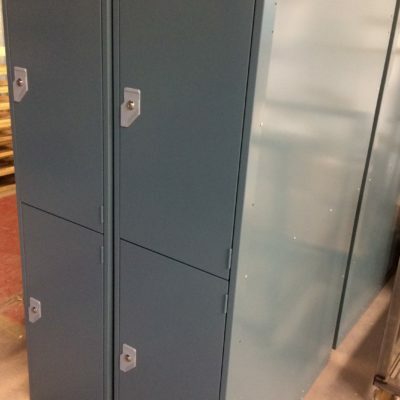 We can modify this locker adding a lockable compartment on the top shelf or removing the storage seat and adding double doors.Please contact us on what you require we can manufacture to your specification.